Ordering a gift is quick and easy through our online store. 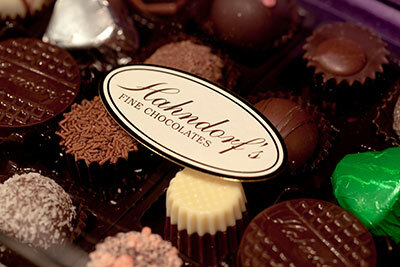 Boutique Chocolates & Hampers is an online distributor of exquisite hand crafted chocolates. 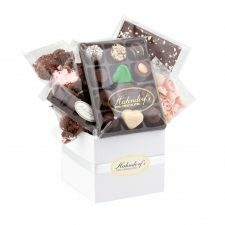 Our range is supplied by Hahndorf’s Fine Chocolates in Doncaster East and features gorgeous baskets of decadent chocolate, all beautifully presented. We have a huge range of gift hampers, truffles, coverture chocolates, wedding bonbonniere and chocolates suitable for almost every function and occasion. For more than 15 years, Hahndorf’s Fine Chocolates has been bringing the taste of exquisite European chocolate to Melbourne. Educated by renowned German chocolatiers Manfred and Erica Kolberg, Hahndorf’s specialises in creating traditional products in the old fashioned style, with a dedication to detail and technique in every piece they craft. 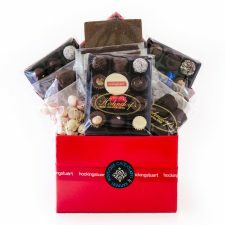 Boutique Chocolates & Hampers makes it simple to get the best of Hahndorf’s range, in beautiful gift baskets and hampers, delivered across Melbourne and Australia. 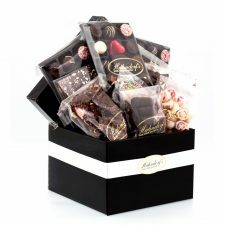 We make it easy to give the gift everyone loves to receive – chocolate! Our hampers are ideal for birthdays, anniversaries, as going away gifts, and more. Best of all, spend $85 or more and we’ll deliver your hamper at no extra cost. 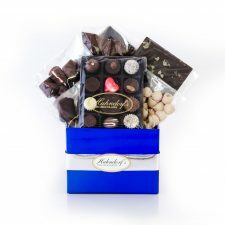 That means regardless of where you are, from the inner suburbs of Melbourne to the outer suburbs of Perth, we will deliver your chocolate gift basket absolutely free. If you would like any further information about our products, please don’t hesitate to get in touch. We will be happy to answer your questions and queries and help you make an informed purchase of exactly the chocolate gift basket you want. Pick up the phone and call us on 1300 88 77 45 to speak with our team. You can also leave your details in our contact form and we will get back to you as soon as we can.